What Would You Give For A Proper Small Pickup? 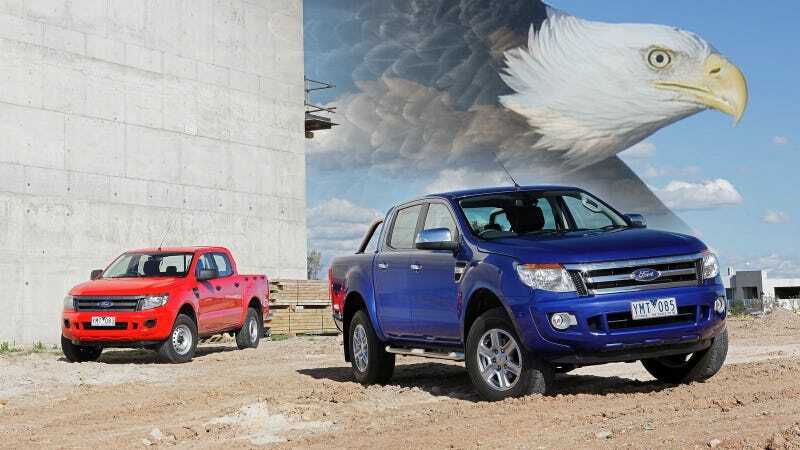 Today we learned that for the past 50 years, the United States government has been stifling the American pickup market with the Chicken Tax. What would you give to get a proper small truck? Truth be told, the grass is not always greener on the other side when it comes to foreign car markets, as Two_wheels_good pointed out. Good thing I live overseas. I get to experience higher crime rates, non-existent social security...and Ford Ranger Diesel pickups...'tis a thing of beauty. MontegoMan562 said what we were all thinking. So what would you give to get a proper small pickup in the States, and which one do you lust after?